Younger consumers inspire speculation about the future of every industry, especially in travel. Truthfully, New Horizons IV: A global study of the youth and student traveler which is conducted by WYSE Travel Confederation every five years looks at six Millennial and Gen-Z travel trends to provide perspective on how the industry could change in the near to long term. In the 57,000 responses generated by the survey, New Horizons identified six major travel trends dominating the minds of younger travelers. Culinary experiences are a major attraction for younger generations. When asked what they would be willing to splurge on, 37 percent indicated that they would spend money on food and drink experiences. That was followed by events and festivals at 27 percent. Eighteen percent said they would splurge on fine or performing arts and 16 percent would spend big bucks on extreme or adrenaline sports. Guided tours attracted big money from 12 percent of younger travelers. When it comes to accommodation and airfare, Millennials and Gen-Z travelers were not as likely to splurge. Just 10 percent would spend a lot of money on accommodation upgrades and only 6 percent would fork over extra cash for more legroom on an airplane. First- or business-class airfare was also not attracting younger spenders. The survey did find a 26 percent jump from 2012 in the level of activities young travelers undertake, indicating that travel planners should add unique, one-of-a-kind experiential elements to itineraries rather than develop premium travel products aimed at Millennials, suggests New Horizons. It may sound cliche to say that younger travelers are turning to their smartphones, but evidence backs up the claim. Face-to-face interaction is largely being overlooked as consumers of every generation are more mindful of social media and online resources. The survey found that friends and family were still the go-to information sources for planning but the importance of social media and the Internet grew significantly from 2002 as did the number of sources travelers turned to for information gathering. In 2002, travelers looked to just three sources for information on a trip. That number has shot to 10.5 in 2017. Seventy percent of youth travel bookings were made at a physical travel agent office in 2002. Now, the vast majority of this business has shifted to suppliers or to OTAs. Gen-Z is made up of digital natives. Nearly three-quarters made a travel reservation via their smartphone in 2017. Those who want to target this generation need to look for innovative ways to interact with younger travelers in order to capture their attention. There are subtle shifts in the most popular destinations for younger travelers. While the top spots on the list are largely made up of the same countries, there are small changes as younger generations look to visit more far-flung regions in larger numbers. In 2017, the top destinations for youth travel were the U.S., Spain, France, Italy, the U.K., Germany, the Netherlands, Australia, Thailand, and Austria. While the U.S., France, Italy, Spain and the U.K. have remained in the top five since 2007, Australia has rejoined the list and the Netherlands has been steadily climbing in interest with younger travelers. Canada, which was on the list in both 2007 and 2012, dropped off the list in 2017, and Austria was added. Interest in travel to the U.S. also declined. New Horizons noted that young people are still interested in visiting the U.S., but are also deciding to explore other less-visited destinations. New Horizons’ research revealed that digital nomadism is popular on a global scale. While it still only makes up a small percentage of the travel industry (0.6 percent) that is equal to 1.8 million trips for Millennial and Gen-Z travelers and is beginning to transform some destinations that are already catering to nomads with co-working spaces, housing, and other services. Digital nomads share their experiences on blogs that provide lifestyle advice, which New Horizons has found influences younger generations. 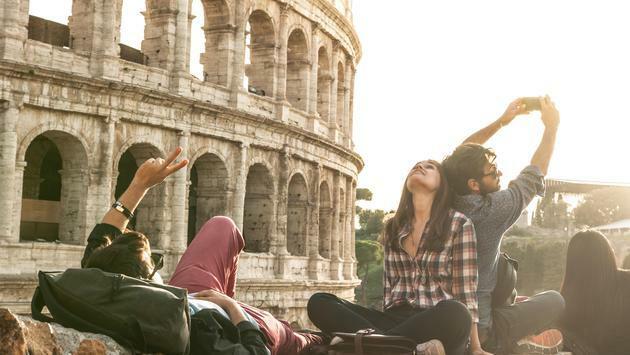 New Horizons identified three key ways to keep Gen-Z and Millennial travelers happy—destination, trip length, and activities. The survey found that one month was ideal but that younger travelers also reported an uptick in happiness at the three- to six-month mark. More activities in a destination also resulted in greater happiness and trips outside of their home region or country resulted in more enjoyment. Trips to Mexico, Japan, Indonesia, and Peru make Millennial and Gen-Z travelers the happiest. By 2020, Gen-Z will take over as the largest generation of consumers and, like generations before them, they will transform the travel market. A couple of standout trends that can already be observed by this generation is that they are just as likely as their Millennial counterparts to make online bookings, but they turn to OTAs and third-party websites less. They are also more social than Millennials and want more connection with locals in a destination. Gen-Z is also already more activity-focused and will likely turn to social media more—they are also a generation on the lookout for new channels as they emerge.